Ramsey's 11-year Arsenal stay will come to an end when he officially joins Juventus on July 1, the 28-year-old having signed a pre-contract agreement with the Serie A champions. "You've seen what it [going abroad] has done for Gareth," said Giggs. "It will be a great experience for Aaron and he is going to a great club, the biggest in Italy. "He is playing well at the moment and [leaving Arsenal] has not affected him." 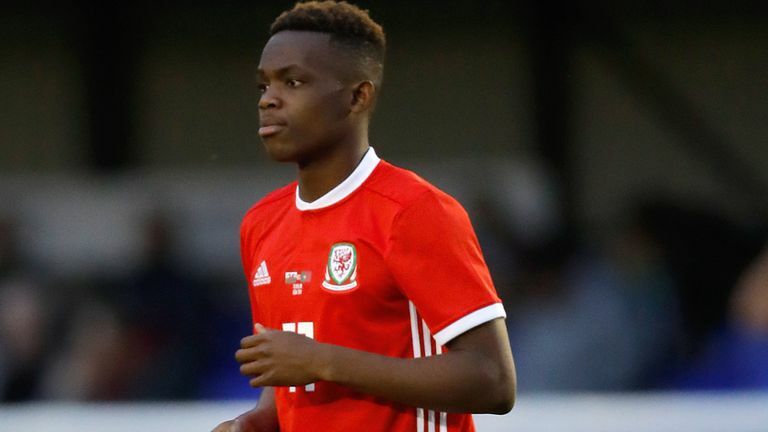 Matondo joined Schalke from Manchester City for around £10m just a couple of months after making his Wales debut in Albania. "I was slightly surprised when he went but Rabbi is a talent," Giggs said. "He has electrifying pace and that always keeps you interested. Obviously after that you have to develop. "If a full-back works you out you have to have that Plan B, but he can hurt teams. "It is great he has had that different experience, like I've touched on with Rambo, and gone to a different country." Matondo has followed the same path to the Bundesliga as England's Borussia Dortmund winger Jadon Sancho, another exciting teenager who went through the City academy system. "If he's half as successful as Sancho has been so far, I'll be happy." said Giggs. "We have players in the Premier League, different countries, Championship and League One. "So it is a real diverse group of players, playing at different levels and in different situations. "It brings a different flavour to the group and that's good."